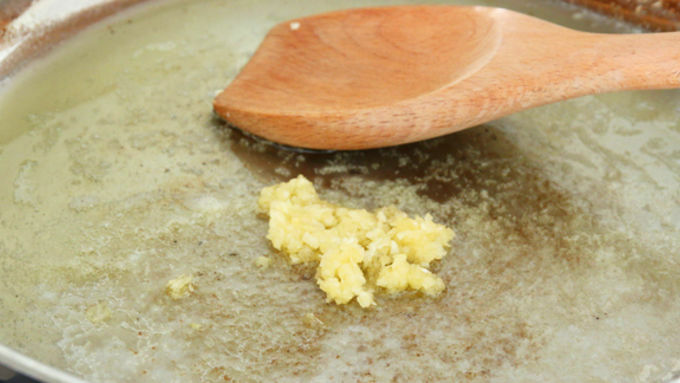 Add milk to pan and heat through. 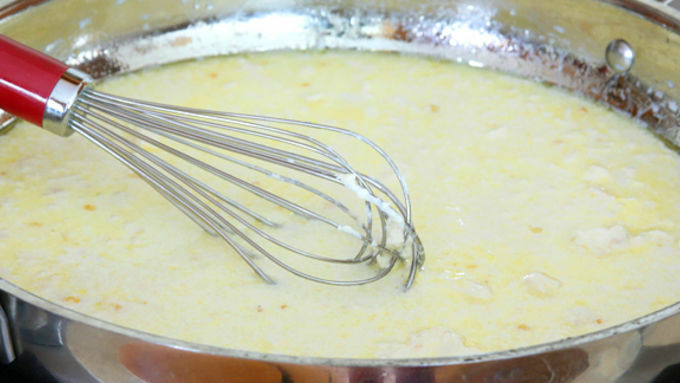 Add cubed cream cheese and whisk to combine until sauce is smooth and no lumps remain. Add salt and simmer for 3 minutes. Get your veggies in one easy, delicious meal. 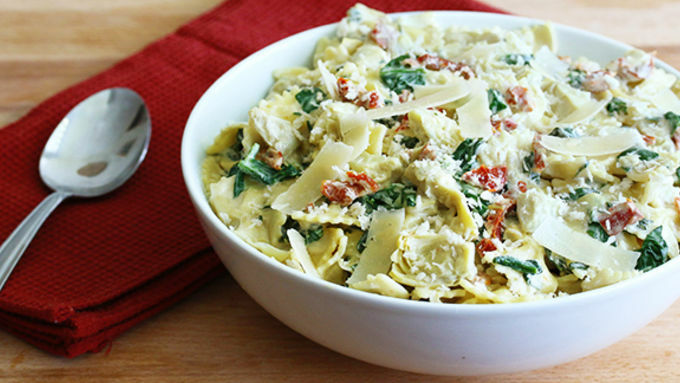 Artichokes, sun-dried tomatoes, and spinach dress up this delish cheesy pasta dish. 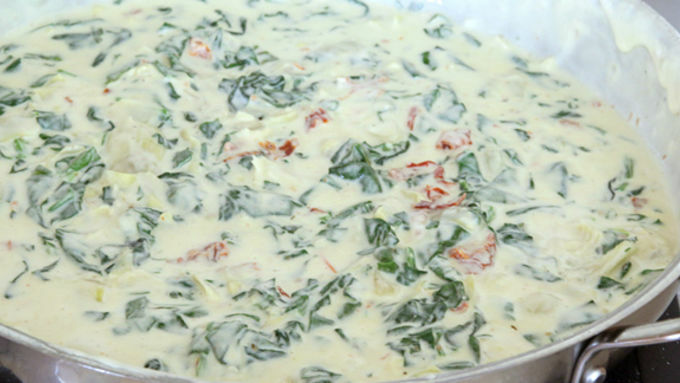 This is one of those dishes where you simply can't go wrong. It's guaranteed to be a hit wherever it's served! 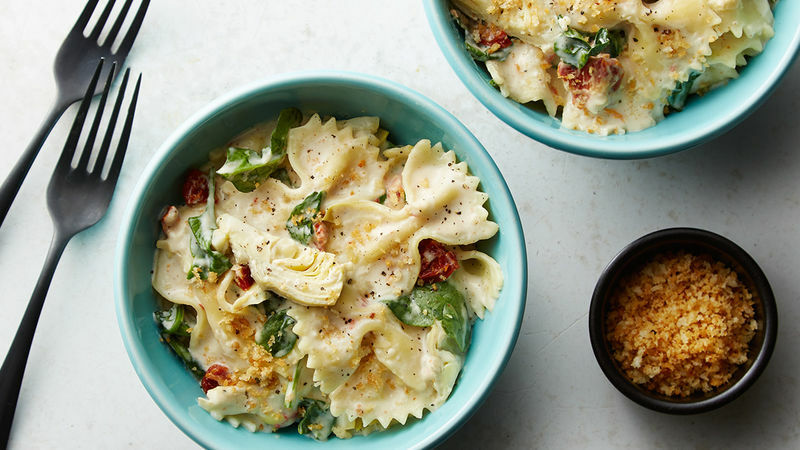 Pretty bowtie pasta tossed with spinach, artichokes and zesty sun-dried tomatoes in an irresistibly creamy, cheesy sauce and topped with crunchy panko bread crumbs ... what’s there not to like? And the best part: It's ready in less than 20 minutes! Deliciousness and quickness factors aside, this dish comes with an added bonus – it's packed full of healthy goodness. 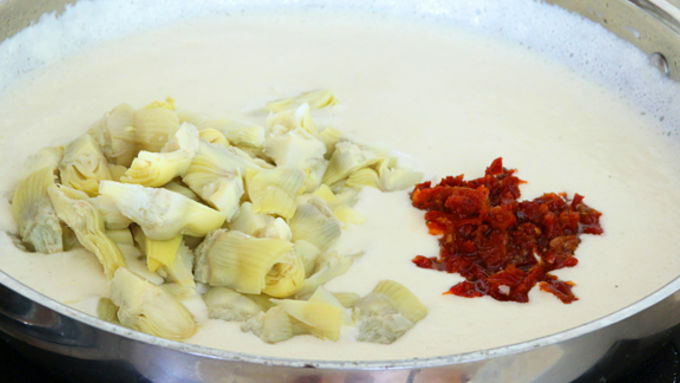 Did you know that artichokes have the highest level of antioxidants of any vegetable? That's good news for preventing a lot of health conditions. There are 1 1/2 pounds of artichokes in this! And then of course there's spinach. Yep, those mega-healthy dark leafy greens full of iron, vitamins and other minerals. And there are two whole bags of it in this dish. You'll be Popeye before you know it! Pour into a serving dish, sprinkle with some panko breadcrumbs and some Parmesan cheese shavings (if desired). Serve warm and enjoy!